At Rizk Law Office of Portland, Oregon, we protect rights and achieve deserved compensation for significant harm caused by someone else's negligent, careless or unlawful acts. Our lead attorney knows how insurers think because he once was the mind of insurers, acting as an insurance defense lawyer litigating cases throughout Oregon. He also worked as a high-level environmental claims lawyer resolving claims and supervising insurance coverage litigation on a national basis. As a former insurance company attorney, our law firm's founder, Richard Rizk, unravels insurer tactics to your benefit. Armed with his experience, he devises the strongest case to help you recover the maximum amount of compensation entitled. Together with our team of dedicated associates, we promise to work directly with you throughout all legal proceedings to ensure we have done all we can to help you achieve the most favorable outcome possible. Mr. Rizk has earned a perfect "10 rating" on Avvo. He has also won numerous awards and honors for his professionalism and service, including recognition from Three Best Rated as one of Portland's best injury practices. We find great reward in being able to help so many victims during their most dire times of need. Mr. Rizk is currently the president of South Portland Business Association. 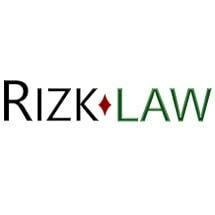 To discover more about Rizk Law Office, call 503-245-5677 or visit our law firm's website at rizklaw.com. We offer a free initial consultation!